Home » Bankruptcy » Can bankruptcy be a solution for past due taxes in Missouri? 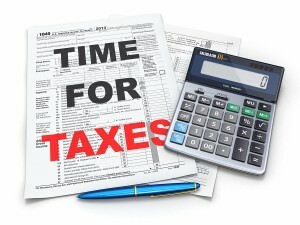 As spring approaches, Americans know that the April 15th tax deadline is looming. While many Americans will be looking forward to using tax refunds for a vacation or other special purchase, others dread tax season because they know they may owe a significant amount of money to the government. Some Americans even try to ignore taxes altogether, sometimes avoiding filing for years at a time because they are afraid they will not be able to pay what they owe. However, ignoring taxes will not make your liability go away. Instead, years of compounding tax bills will only seem more overwhelming. Can bankruptcy help with past taxes? Many people who face seemingly impossible tax bills wonder if bankruptcy can be a solution. In some circumstances, you can discharge tax liability under Chapter 7 bankruptcy or you may be able to reorganize your tax debt and set up a payment plan under Chapter 13. However, in order to use bankruptcy to help relieve tax liability, you must meet certain criteria. You are not guilty of unlawful tax evasion. You have no intentionally misleading or fraudulent information on your tax returns. You filed the tax returns in question at least two years prior to filing for bankruptcy. The due date for the tax payments is over three years before the bankruptcy filing. The Internal Revenue Service (IRS) officially assessed the tax liability 240 days or more before the bankruptcy filing. If you meet these criteria, Chapter 7 or 13 bankruptcy may be an option. However, even if you do not meet these criteria, all hope is not lost. An experienced bankruptcy attorney can still assist you in working with the IRS to find solutions for you to be able to handle your tax liability. You should not simply keep ignoring your taxes because you believe you cannot afford them. 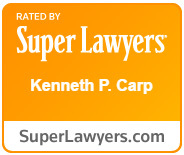 The attorneys at the Law Office of Kenneth P. Carp can help lift the weight of tax debt off of your shoulders and find a solution that works for you. Call our office today at 636-947-3600 to schedule a free consultation to discuss your options.